The launching ceremony of the Port-Said Gowind corvette, the first warship built in Egypt, took place on September 6th, 2018 in Alexandria. This launching constitutes a success for Alexandria Shipyard team. It also reflects the effectiveness of Naval Group’s industrial cooperation schemes. This industrial achievement demonstrates the strength of the strategic partnership between Naval Group and Egypt. The launching of the Port Said corvette shows the capabilities of the Alexandria shipyard, as it is the first warship built in Egypt. This launching ceremony celebrates the rise in competences of the Alexandria Shipyard team which is now able to build civilian boats as well as state-of-art military vessels. Along with the first ever delivered Gowind corvette, Elfateh, already deployed by Egyptian Navy on many operational theatres, it will contribute to increase the Egyptian Navy Power. The corvette is part of a strategic and long-term partnership with Egypt. It is the fifth ship designed by Naval Group, operated by the Egyptian Navy, after the already delivered FREMM frigate Tahya Misr in 2015, the two Landing Helicopter Docks Nasser and Sadat in 2016 and the first Gowind corvette, Elfateh, in 2017. Hervé Guillou, Naval Group’s CEO declared: «Naval Group is very proud to be part of this long-term partnership with the Egyptian authorities and industry. This ceremony is an opportunity to reiterate our strong commitment to execute all the programs and to equip the Egyptian Navy with a homogeneous fleet. In addition, Naval Group is pleased to participate in the maintenance and modernisation of this fleet. Naval Group has a long-term presence in Egypt and will remain involved for many years to come in Alexandria as partner of the Egyptian Navy to secure their operations». Naval Group’s commitment to support customers through transfer of technology at each stage of the construction process is reaffirmed. Port Said, the first ever Egyptian made warship, is a proof that industrial cooperation works. 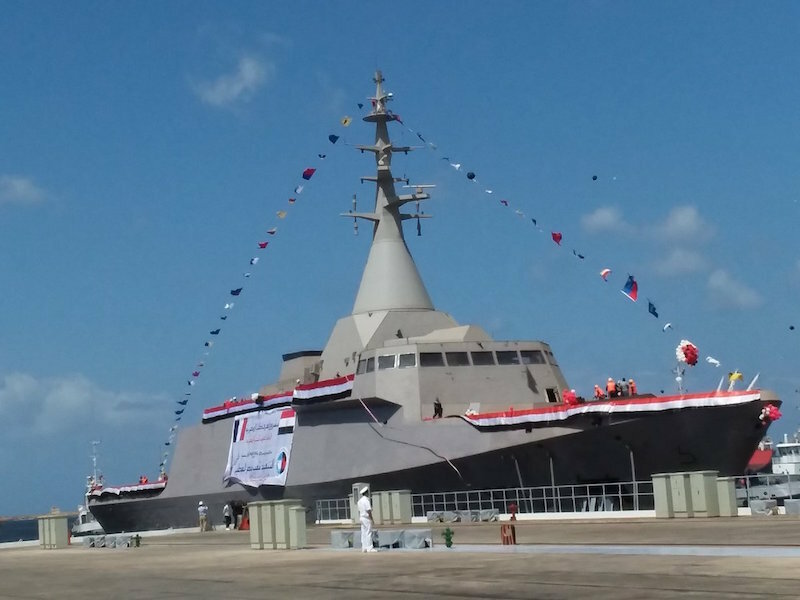 The corvette manufactured in Alexandria has identical features and possesses the same performance level than the sea-proven Elfateh, which was built on Naval Group’s site in Lorient and delivered to the Egyptian navy last autumn. The modular design of the Gowind corvette enabled Naval Group to meet the specific requirements of the Egyptian navy in the shortest time scale possible. 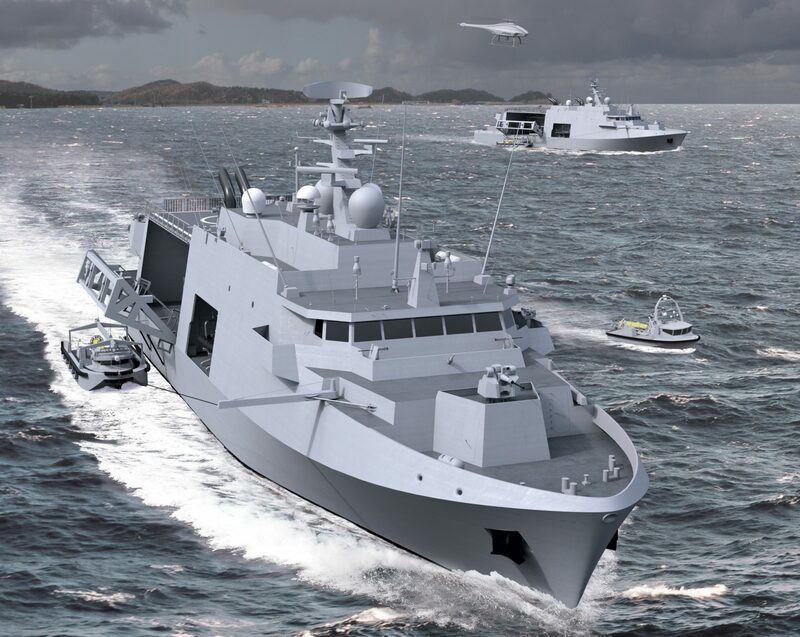 The Gowind corvette, ordered in ten units, meets the challenges faced by navies in changing war environments and offers a complete, multi-mission combat ship for sovereignty operations, the fight against illicit trafficking or maritime protection. The Gowind corvette is a concentrate of the latest technological advances developed and mastered by Naval Group in naval defense. It integrates the latest generation of combat systems developed by Naval Group, SETIS, the «Panoramic Sensors and Intelligence Module (PSIM)» – a combination of the integrated mast with its various sensors and the Operational Centre and associated technical premises – and the high level of integration, automation and user-friendliness of the Naval Group systems. In addition to the Egyptian contract, Malaysia bought Gowind corvettes in 2012. Naval Group is the European leader in naval defence. As an international high-tech Company, Naval Group uses its extraordinary know-how, unique industrial resources and capacity to arrange innovative strategic partnerships to meet its customers’ requirements. The Group designs, builds and supports submarines and surface ships. It also supplies services to shipyards and naval bases. The group reports revenues of €3.7 billion and has a workforce of 13,429 (data for 2017). According to Defense-aerospace.com, a new multi-mission frigate, in anti-submarine version, has joined the ranks of the Navy. Very versatile, stealthy and with a strike capability that is unique in Europe, the FREMMs are the backbone of the surface fleet in the different fields of naval combat. On 18 July 2018, the Directorate-General for Armaments (DGA) received the frigate Bretagne, the 5th multi-mission frigate (FREMM) for the French Navy. The FREMM program is conducted within the Joint Organization for Cooperation on Armament Programs (OCCAR), in cooperation with Italy. The program allows the renewal of the frigate component of the surface navy, with eight major vessels that will form the backbone of the surface fleet. The FREMMs, designed, developed and maintained by Naval Group, are the only Western European frigates to be armed with naval cruise missiles. 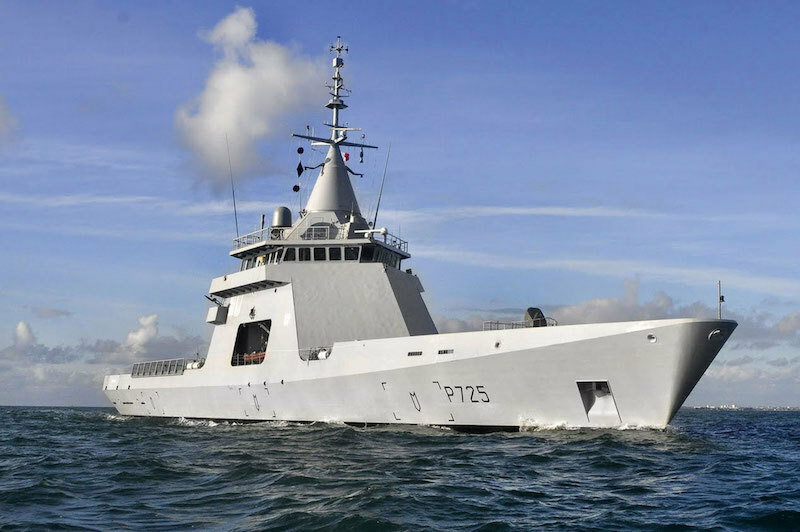 The 2019-2025 military program law provides for the delivery of the sixth anti-submarine frigate (Normandy) in 2019 and the last two ships of the series (Alsace and Lorraine), with enhanced air defense capabilities, in 2021 and 2022. It also provides for the strengthening of naval forces with the entry into service by 2025 of the first 2 frigates of intermediate size (FTI) and the refit and modernization of three La Fayette-class frigates. The FREMM, crewed by 105 sailors, all highly qualified men and women, is a stealthy ship, multi-mission, enduring and flexible of use, and equipped with advanced automatisms. In its anti-submarine warfare version, its main mission is the control of an area of maritime operation, on the surface and under the sea, as well as long-range precision strike with the naval cruise missile (MdCN), and support for deployed and power projection operations. Its weapon system includes the Caiman Marine, a multi-role combat helicopter with a particularly advanced anti-submarine capability. The FREMM-Cayman pair represents a leap in the field of submarine warfare. The FREMM is also equipped with the ECUME, the new tactical boat used by marine commandos. 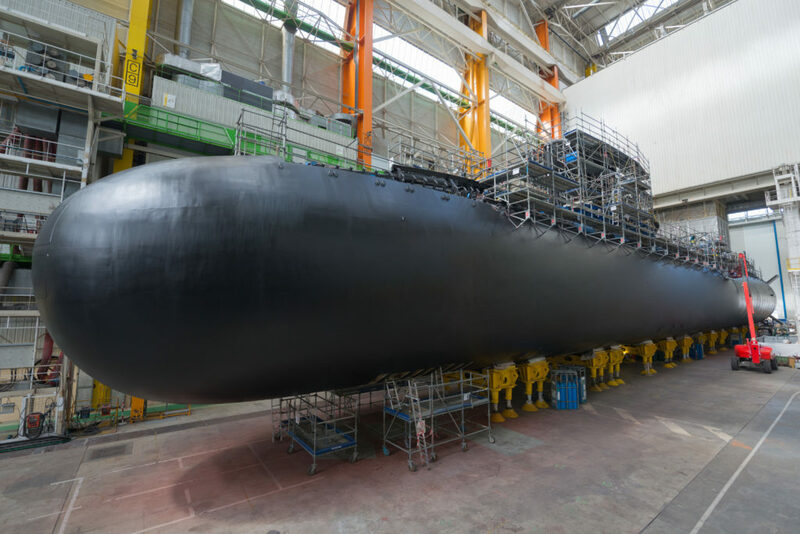 Until 2022, the completion of the FREMM program will be a very significant part of the activity of Naval Group on its site in Lorient and that of many subcontractors, mainly SMEs. The 2019-2025 Military Program Law, which was promulgated on July 13, 2018, provides for an accelerated effort to modernize the equipment of the armed forces. 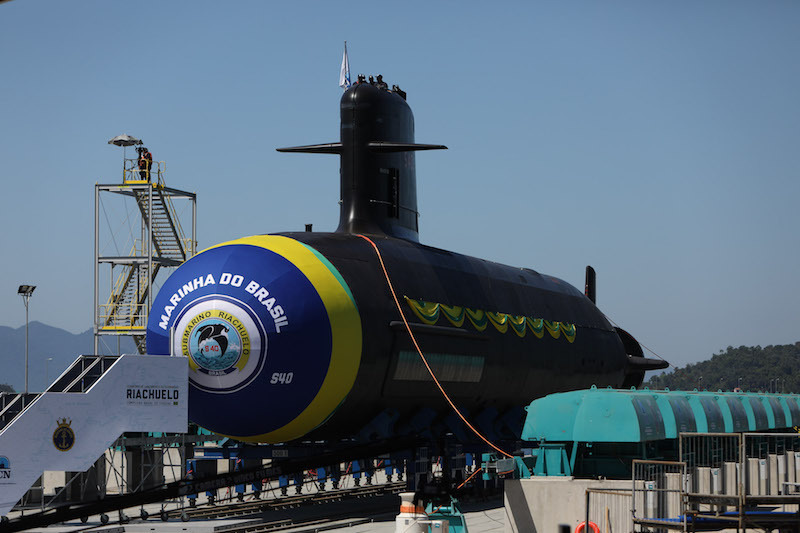 Florence Parly, Minister of the Armed Forces, decided at the Ministerial Investment Committee meeting on May 2nd to order the fifth Barracuda-class Nuclear Attack Submarine. The Directorate-General for Armament (DGA) awarded this contract on 31 May 2018 to Naval Group and Technicatome. Naval Group is the prime contractor for the entire vessel. This submarine will be called Rubis. The Military Programme Bill 2019-2025 maintains the format of a six-boat Barracuda nuclear attack submarine flotilla in operational service by 2030. The first four boats will be delivered over the period 2019-2025, including the first-of-class, Suffren, in 2020. Their nuclear propulsion gives the Barracuda SSN a remarkable range of action and discretion. Armed with heavy Artemis torpedoes and Exocet anti-ship missiles, they will also carry naval cruise missiles (MdCN). This latter ability will allow them, in all discretion, to weigh on an opponent with the threat of long-range strikes, up to several hundred kilometers from the coast. Finally, they will also be able to deploy special forces while submerged, also with full discretion. According to defense-aerospace.com, Argentina has decided to finalize the acquisition of four Adroit-class OPV-90 offshore patrol vessels from France’s Naval Group, French Foreign Minister Jean-Yves Le Drian told the Argentine newspaper La Nacion after meeting here with his Argentine counterpart, Jorge Faurie. The sale had initially been agreed while Le Drian was defense minister in the previous French administration, but was subsequently suspended by Argentine President Mauricio Mori over the price, which he judged excessive. Meeting French President Emmanuel Macron at the World Economic Forum, Macri asked for a price reduction, which resulted in a Naval Group team returning to Buenos Aires to present a new offer, which was accepted. «The technical offer was accepted, now we are discussing the payment methods of these vessels», Faurie told La Nacion newspaper after meeting Le Drian. «The final price, which was decided after Naval Group traveled to Argentina, was much closer to the quotes that the country received from the other shipyards», Faurie said referring to two other competitors for the contract, a Chinese shipyard and Spain’s Navantia. «With evident satisfaction, Le Drian evoked the final agreement reached between Buenos Aires and Paris for the purchase», La Nacion said, adding that Le Drian said «The principle has been accepted and the operation be concluded soon». The deal covers four Gowind-class offshore patrol vessels, including three new-build boats and the original Gowind ship, L’Adroit, which was operated under a cost-free lease by the French Navy to validate the design. Developed and financed by Naval Group as a private venture, Gowind-class vessels have been purchased by Egypt (four ships), and Malaysia (six ships). 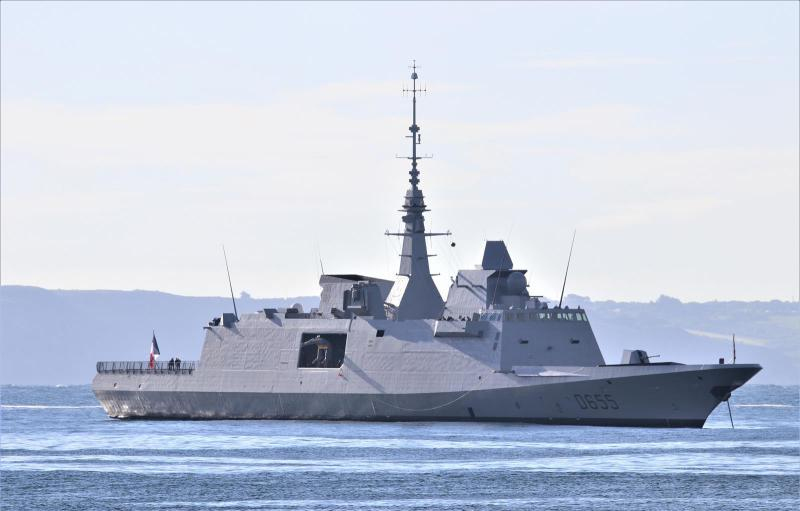 According to Defense-aerospace.com, on February 14, 2018, the Chief of the Naval Staff admitted to active service D654 Auvergne, the 4th multi-mission frigate (FREMM). Now declared fit for combat by the Navy, she joins D650 Aquitaine, D652 Provence and D653 Languedoc, her three sister-ships in the FREMM class. 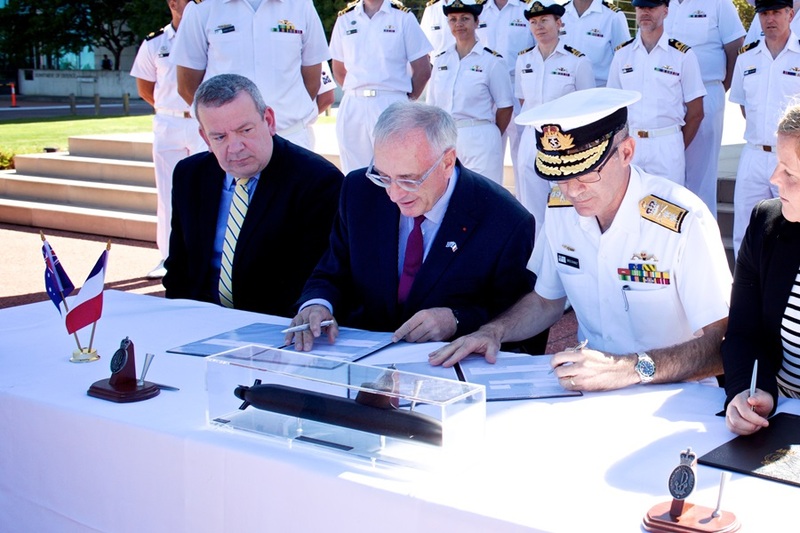 This admission is the culmination of a process of verification of the ship’s military capabilities. In 2017, D654 Auvergne was deployed for more than four months in diversified areas of operations: the Mediterranean Sea, the China Sea, the Indian Ocean, the Persian Gulf and the Pacific Ocean. This deployment was marked by its integration into Task Force 50, formed around the US aircraft carrier USS Nimitz (CVN-68), and the Combined Task Force 150, the multinational naval force fighting against illicit trafficking. D654 Auvergne also helped show France’s commitment to respect for international law and the freedom of navigation, particularly in the China Sea. D654 Auvergne confirmed the already recognized qualities of the FREMM-class as modern, versatile, enduring and flexible vessels. They meet the needs of maritime rescue missions, the gathering of information in all three dimensions, and the requirements of high-intensity conflicts: control of a zone of air-sea operations, anti-ship, anti-submarine and anti-air missions, and support of projection operations, command of a national or combined naval air force, etc. Two major assets are worth highlighting: the ability that France now has to strike accurately from the sea and in depth, with the MdCN naval cruise missile, and its unequaled performance in anti-submarine warfare, thanks to the alliance of the ship’s hull-mounted sonars and her embarked (NH90) Cayman helicopter. 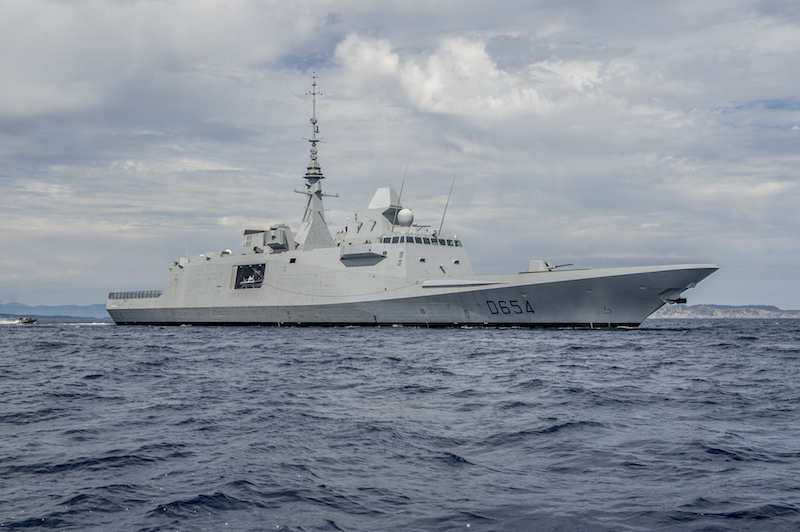 With this fourth FREMM frigate, the French Navy reinforces its ability to ensure France’s security, both in its own waters and on the high seas. The future LPM multi-year funding law confirms the importance of first-rank frigates that contribute to all strategic functions. Thus, to reach the target of 15 frigates of first rank, four intermediate-size frigates (FTI) will be ordered and two delivered by 2025. The last four FREMMs will have been delivered in 2025, the final two with enhanced air defense capabilities. On 31 January 2018, in presence of Chief of Naval Staff Admiral Sunil Lanba, PVSM, AVSM, ADC, and CMD MDL Commodore Rakesh Anand (IN Retd. ), INS Karanj (S23), the third of P75 Scorpene-class submarine was launched at a colorful ceremony by Smt Reena Lanba. 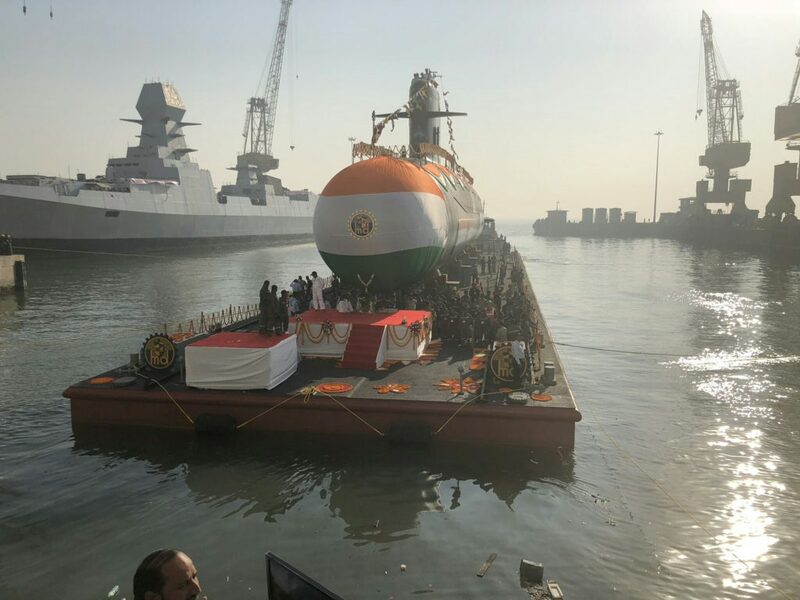 After the successful commissioning of INS Kalvari (S21) on 14 December 2017, this launch highlights the remarkable success of indigenous submarines totally built by Indian shipyard Mazagon Dock Shipbuilders Limited (MDL) through technology transfer and partnership with Naval Group, in line with Indian Government’s «Make in India» policy. Post this launch of Karanj, the completion of setting-to-work will be undertaken by the trained and skilled teams of MDL and thereafter the sea trials will commence. The second boat INS Khanderi (S22) is already undergoing sea trials and will be commissioned in coming months. All these boats have been fitted with critical equipment, built in India by qualified and highly trained industrial MSMEs, which forms the sound base of submarine building ecosystem of India. While attending the event at Mumbai, Mr. Alain Guillou, Senior Executive Vice President, Naval Group said: «This is a remarkable feat achieved by India, and MDL is indeed grown to be among the rarest of shipyards around the world to have mastered such unique competence of submarine building. We are glad to partner with such a shipyard, which can boast of competence and infrastructure which allows them to build 12 submarines at a time, thus proving an industrial marvel and an asset for Indian Navy and Indian government». The Scorpene is a 2000-tons conventional-propulsion submarine designed and developed by Naval Group for all types of mission, such as surface vessel warfare, anti-submarine warfare, long-range strikes, special operations or intelligence gathering. Extremely stealthy and fast, it has a level of operating automation that allows a limited number of crew members, which reduces its operating costs significantly. Its combat edge is highlighted by the fact that it has 6 weapon launching tubes, 18 weapons (torpedoes, missiles, mines). With 14 submarines sold internationally by Naval Group, the Scorpene is an essential reference product in the area of conventional attack submarines (SSK) for navies across the globe. The product is easily adapted for improvements requested by any naval customers. The progressive improvement through dedicated and experienced designers of Naval Group ensures these seamless advances and modern technology integrations. 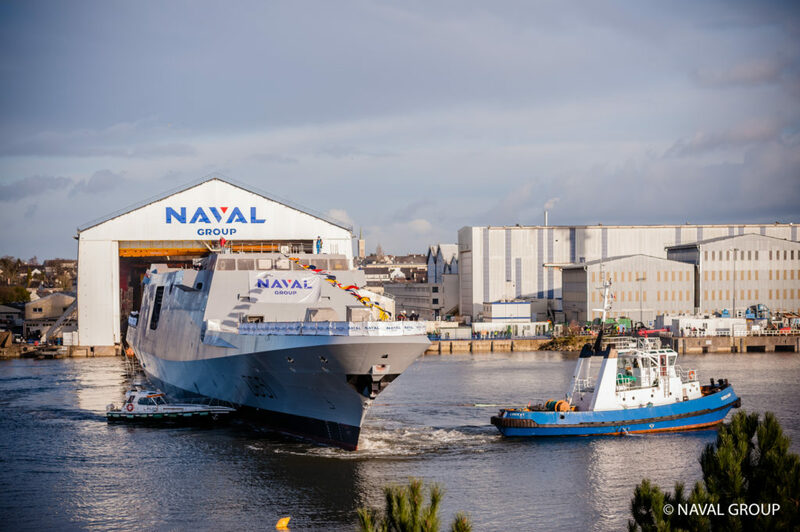 On 1 February 2018, Naval Group floated the FREMM multi-mission frigate D656 Normandie, just 12 months after the start of hull assembly in the building dock on the Lorient site. The completion of this milestone represents an important step, demonstrating the industrial and technological mastery of Naval Group, ensuring compliance with a very tight schedule to be able to deliver, as foreseen, six of the FREMMs ordered by OCCAR (Organisation for Joint Armament Cooperation) on behalf of the DGA (French Defence Procurement Agency – Direction Générale de l’Armement) to the French Navy before the end of 2019. The eighth FREMM frigate to be built in Lorient and the sixth in the series ordered by OCCAR on behalf of the DGA for the French Navy, the FREMM D656 Normandie was taken out of its building dock in Lorient where it was assembled on time: just 12.5 months since the first block was positioned on the keel block line. «This floating out was a real scheduling challenge to fulfil our commitment to deliver 6 anti-submarine FREMMs to the French Navy by 2019, as planned in the Military Programming Law 2014-2019. A challenge that has been successfully overcome thanks to the determination and know-how of the group’s teams, combined with an organisation developed on the basis of the feedback gathered from the previous ships», recalls Nicolas Gaspard, director of the FREMM program. It is in autumn that the D656 Normandie will leave the dry dock to undergo its first sea trials before delivery to the French Navy, foreseen in summer 2019. The timely completion of the floating out milestone strengthens Naval Group’s capacity to maintain the fast pace of series production for this major programme. Six FREMM frigates were already delivered between 2012 and 2017. The D650 Aquitaine in 2012, the D652 Provence in 2015, the D653 Languedoc in 2016 and last but not least the D654 Auvergne in April 2017. On the international market, Morocco took delivery of the Mohammed VI in 2014 and Egypt took delivery of the Tahya Misr in 2015. The FREMM D656 Bretagne, floated in September 2016, will be transferred to Brest, where it will be based, in the second quarter 2018. The two final frigates, D657 Alsace and D658 Lorraine, will be delivered to the French Navy before the end of 2022. These frigates will be equipped with strengthened air defence capacities (FR‑AAW). The assembly of the FREMM D657 Alsace in the D658 Lorient building dock will start in spring 2018. Heavily armed, the FREMM D656 Normandie deploys as its sister ships the most effective weapon systems and equipment, such as the Herakles multifunction radar, the naval cruise missile (MdCN), the Aster and Exocet MM 40 missiles or the MU 90 torpedoes.